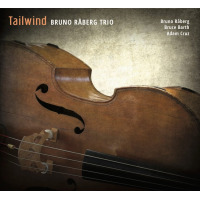 Tailwind is the tenth album as a leader for Swedish-born, longtime Boston-resident bassist/composer Bruno Raberg. 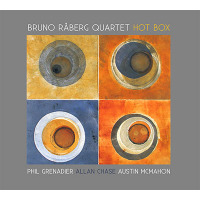 His most recent groups have been piano-less: Hot Box (Orbis Music, 2015) was a quartet with trumpet, saxophone and drums; For The Unknown (Orbis Music, 2016) brought back the same group sans drums, and was entirely based on freely improvised music. 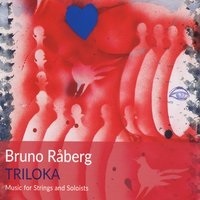 Both albums also featured Råberg's electronic post-processing. 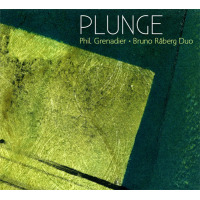 By comparison this is a much more mainstream affair: an acoustic trio with pianist Bruce Barth and drummer Adam Cruz, playing the leader's compositions, plus one standard. 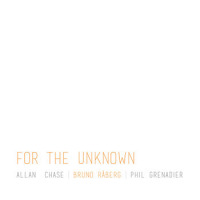 "Message XII" is a sprightly opener that establishes the group's contemporary jazz soundnot as experimental as some of Råberg's other music, but not conservative either. "Song For Dolphy" begins with the leader's unaccompanied double bass, leading into an elegy for the great reed player Eric Dolphy, rather than an evocation of his sound (although it was based on a Dolphy melodic fragment). "A Closer Look" is clearly a ballad. It dates from 1985, and was written for Melissa, Råberg's future wife. He and Barth played the song back then, and Barth opens the tune with an unaccompanied solo. "La Candide II" is another early composition, first performed by the Boston-based Orange Then Blue little-big-band. This performance is by far the most explosive performance on the album. The bonus track "La Candide I" is a more deliberate version of the same tune. The title tune is a propulsive piece, driven along by the title tailwind. "Paris Window" recalls the impressionism of pianist Bill Evans: composed in Boston, but inspired by a photograph of Råberg's wife in a window in Paris. It features a lovely lyrical double bass solo. The standard "Here's That Rainy Day" has a melody sung by arco bass. The closer "Rainy Day Farewell" uses the introductory vamp of the arrangement as a foundation for an original composition. 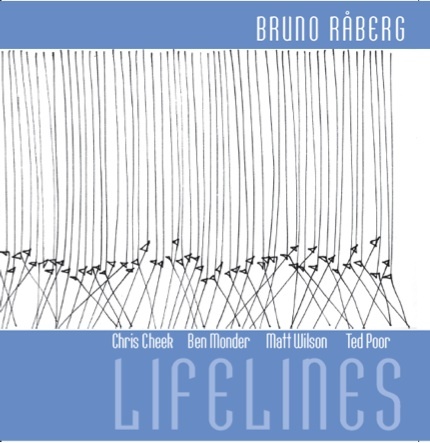 This is a splendid trio, a fine showcase for Råberg's bass playing and composing as well as a stage for the rhythm section of Barth and Cruz. They form a great combination, a trio whose return would be most welcome.